Now that summers are almost gone and we have already started to feel that slight nip in the air, its time to redirect our wardrobe to fall autumn. Fall autumn is the time of the year when you are stuck between your cut-sleeves dresses on one hand and your cute cardigans on the other. The former gives you goosebumps thanks to the slight chill in the weather and the latter makes you sweat. All of this ultimately leads to a terrible consequence- a sore throat along and a red nose. How to avoid this and still look comfortably chic? 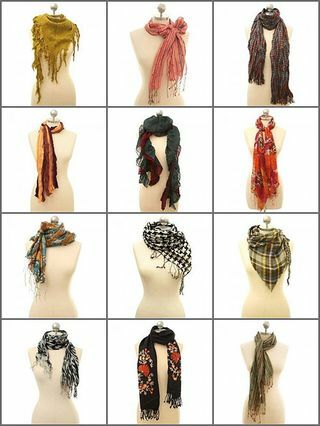 The answer lies in these beautiful pieces of fabric better known as scarves. Scarves are a great solution to most of your autumn fashion problems. But the question is, how fashionably can we carry it? 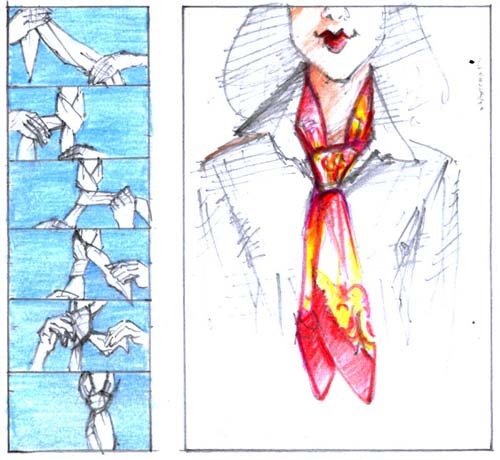 Scarves are a great deal more than just a piece of cloth around your neck. There are so many ways you can wear it, and the best part, it is so easy to learn. You just need to follow a step-by-step process, and voila! You’ll have the most fashionable and accessory ever! There’s nothing like keeping your neck warm and yet look totally gorgeous. I am going to tell you about the different ways you can wear your scarf! So why don’t we all get “knotty” this autumn? This style could be worn with a silken scarf. It works well with a formal attire or a wide- necked summer dress. This style creates a high neck effect and gives a very wintry feel. In fact, you could use a bright contrasting scarf beneath your over-coat. This is perfect for day time. Looks best when a bright printed scarf is teamed with a plain white shirt or a dress. 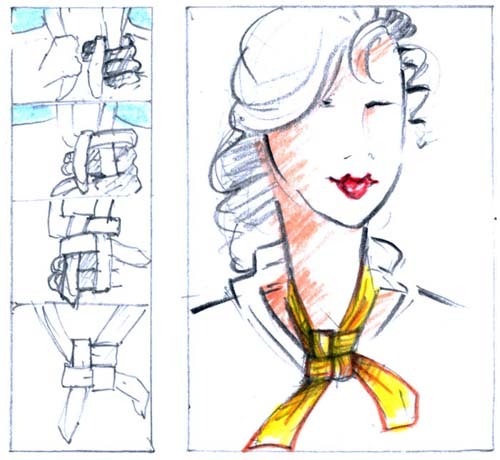 Commonly known as the “Buekaroo Knot”, this style works best with formals and semi-formals. Do select a scarf which is very thin for the purpose. Apart from the styles above, there are numerous other styles of wearing your fashionable piece of fabric. The different styles have evolved over the fashion years as a consequence of need mingled with a sense of creativity. This is precisely the reason you need not confine yourself to the pre-defined styles. Take out the creative side of yours and create your very own “knotty” style.